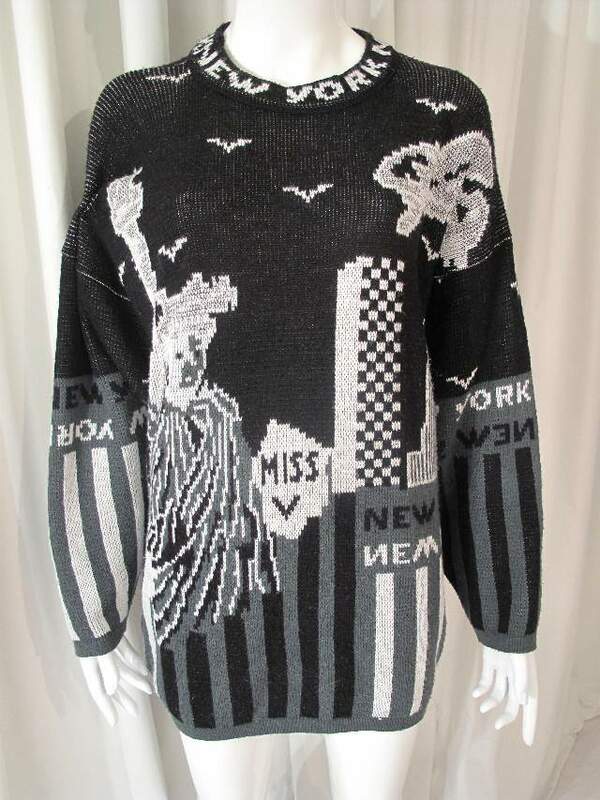 1980's 'Miss V' VALENTINO New York Skyline jacquard vintage sweater jumper. 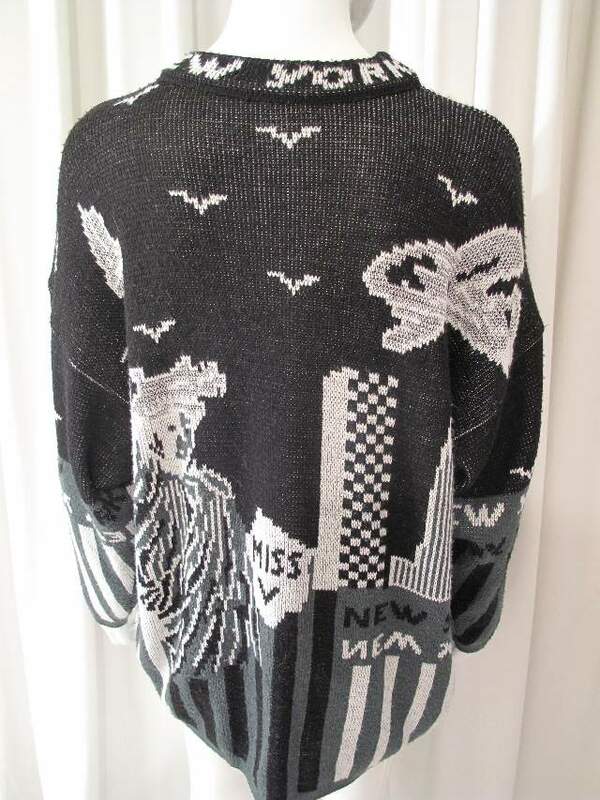 Black, white, grey and silver lurex jacquard 'Sloppy Joe' sweater jumper. 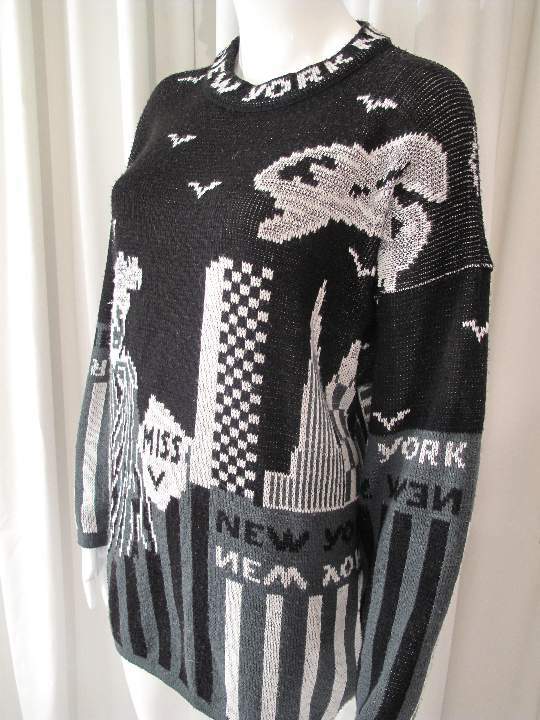 The front features the Statue of Liberty, birds, clouds and the Manhattan skyline, looks like the fated Twin Towers! 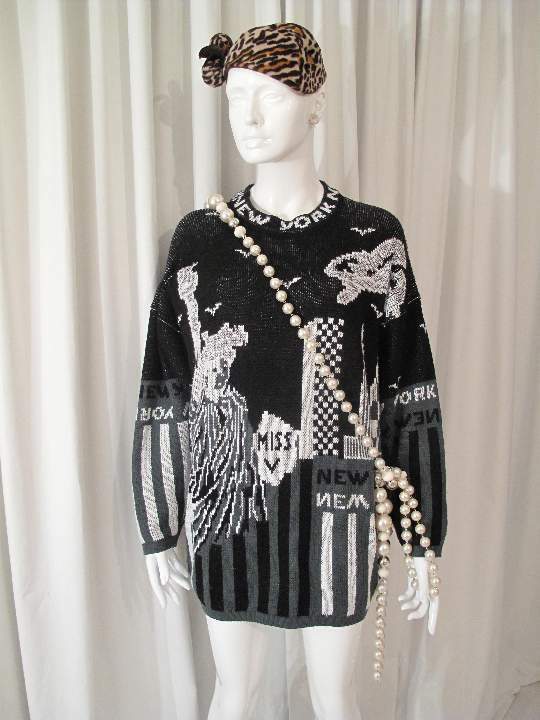 Camp and kitsch, great with leggings and studded ankle boots.